Jay is our optician with more than 35 years of experience – and that already tells a lot! He will guide you through our selection of frames, making sure they match the lenses he will select for you too. Using precision tools he will carve out their shapes and make sure your glasses are firm, solid and look great. And should your glasses sustain any damage in the future – he will also repair them so they are as good as new! 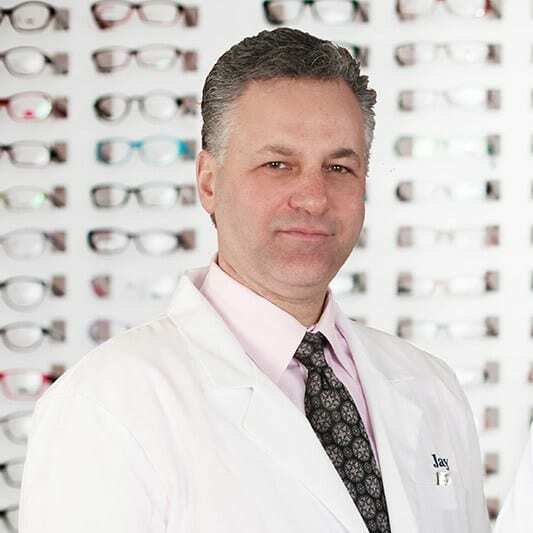 Larkfield Optical is one of the leading providers of quality eye care products and personalized optometric services in East Northport. Call or stop by our store to book an appointment today and see why there is more to vision care than seeing 20/20.